Aha uttap koto sundor…tui….thermometer -e maaple….. 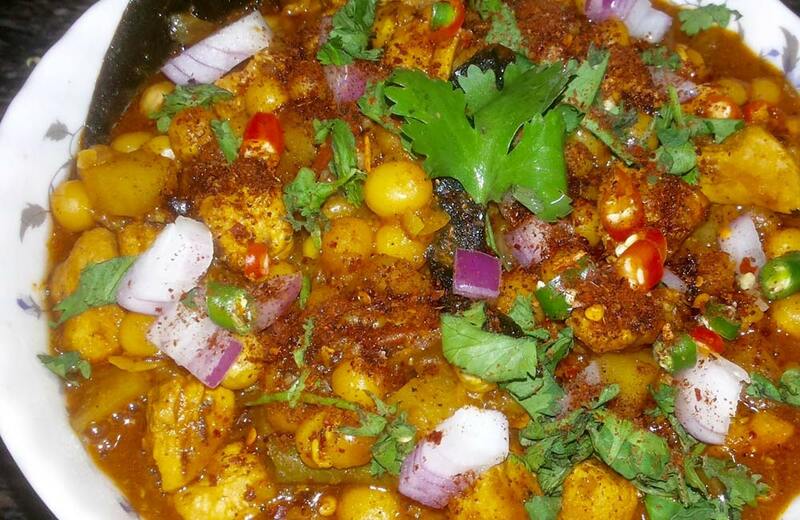 This gorgeous dish is prepared with boiled yellow dried peas or white peas along with chopped onions, tomatoes, coconut, coriander, and chillies. A seasoning of aromatic spices and tamarind water gives it a powerful punch and flavour. The best part about it is that it comes at an affordable price and makes for a real hearty meal. During a visit to the land, where Bangla seems synonymous with a way of life, you must treat yourself to this amazing specialty. A great thing about Kolkata’s street food dishes is that these are not only delicious, but also quite easy to make. Aloo chop would serve as a fine case in point. All you need is love, and a bowl of potatoes. On a serious note, however, the aroma from aloo chop will leave you with a strong craving. This palatable dish is prepared with chopped onions, ginger-garlic paste, dry spices, coriander, green chillies, and mashed potatoes. The mixture is shaped into small balls that are dipped in a chickpea flour batter, and deep-fried. Aloo chop is best served hot with a cup of tea. Almost everyone craves for a nice cup of tea and pakoras during the monsoon. 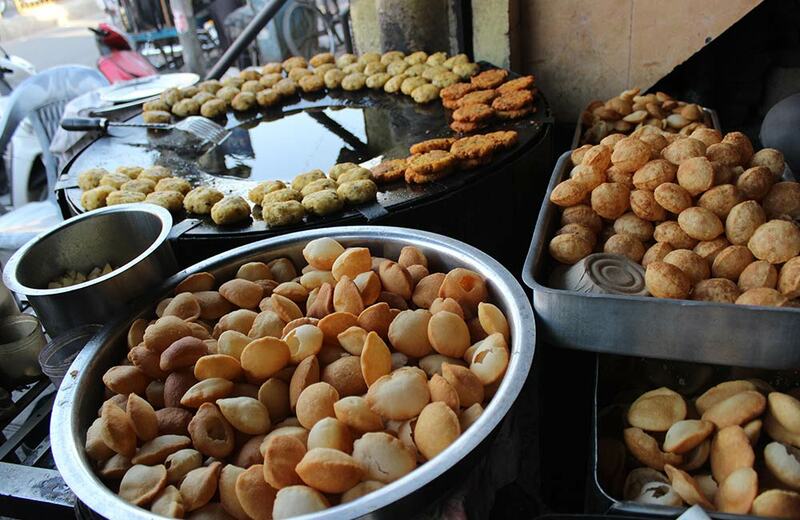 Well, peyaji has to be your go-to snack on any given rainy evening in Kolkata. 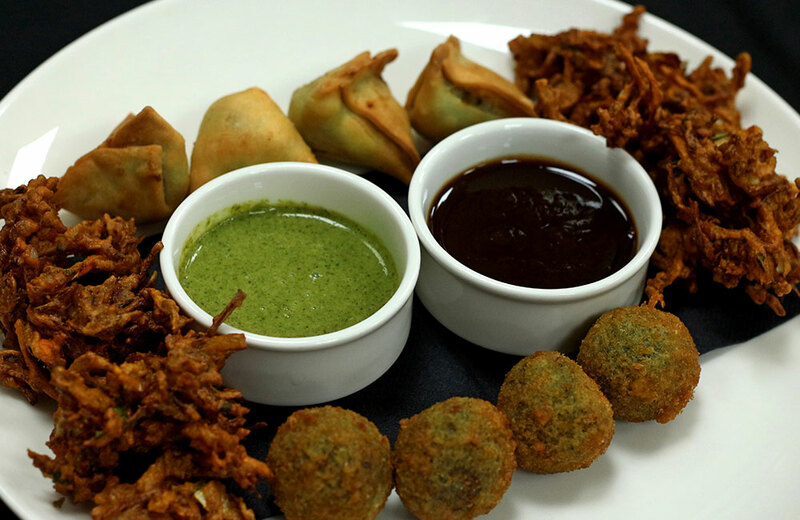 It is prepared from sliced onions, deep fried after being dipped in a gram flour batter. The crispy delight is as mouth-watering as it looks. Moreover, it is reasonably priced and a tantalising treat to the taste buds. To get the best of its flavoursome qualities, snack on it right after it is prepared. Inspired by China, Dragon Chicken is a tempting mix of spicy curries, deep-fried chicken and prawns in a golden batter. 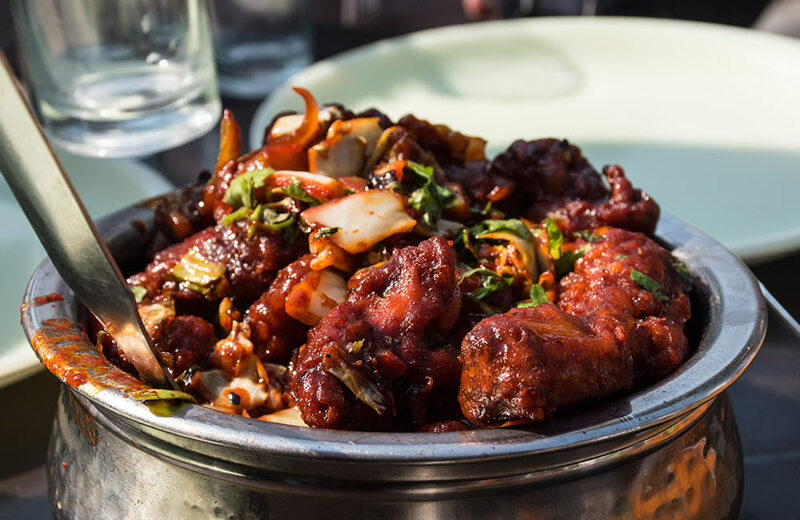 It is the best of Desi Chinese without a doubt. Attack a plateful of dragon chicken as a starter or enjoy it with fried rice or noodles; it tastes great either way. Also, it’s a good idea to have dragon chicken by yourself because you are not going to want to share. Where you’re from, these might be called pani puri or golgappas; however if you’re a city dweller, you most definitely know these as phuchka. A phuchka comes in several variations; those that are served with yoghurt are known as doi phuchka. The potato filling inside the crisp semolina mould creates a blast of contrasting qualities and flavours. It is a heavenly combination of broken papris, churmur, tamarind pulp, mashed potatoes, and tangy spices. After tasting phuchka, you will genuinely fall for Kolkata head-over-heels. Kolkata is the birthplace of the delicious egg roll that we’ve all come to love. The thin roti holds a beautiful stuffing that can be prepared with both vegetarian and non-vegetarian ingredients. A vegetarian roll in Kolkata is a roti or an Indian flatbread wrapped around a cottage cheese stuffing with a blend of lime, onions, green chillies, cucumbers, carrots, capsicums, and exquisite spices. The non-vegetarian egg roll is prepared with an egg batter, chicken pieces, finely chopped green chillies, shredded cucumbers and carrots, ginger, garlic, and a nice splash of lime. Jhalmuri is Kolkata’s answer to Mumbai’s iconic bhel puri. Its popularity is well deserved because not only is this snack healthy, but also super easy to prepare. Just take the basic ingredients, such as puffed rice, onions and green chillies, and mix them together. It is that easy and quick to make. This street food preparation tastes great when paired with a round of mocktails. Bon appétit! 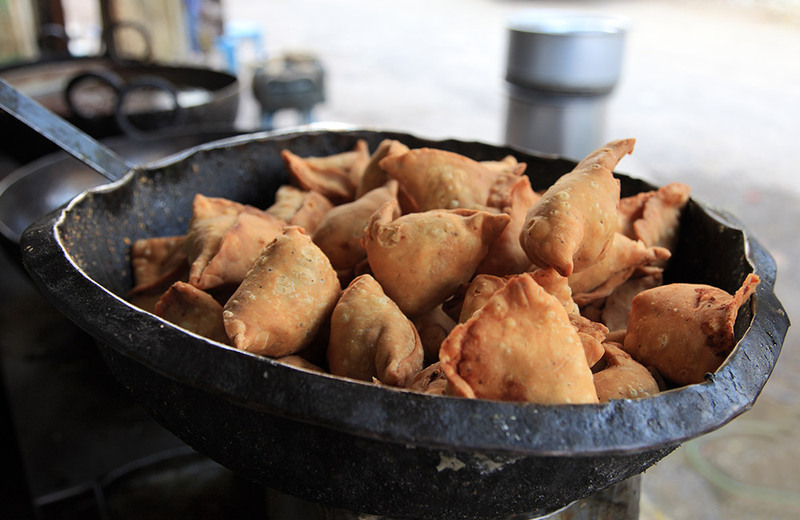 If you don’t know what Shingara is, think like this…it is most commonly known as samosa throughout the country. Just like its northern counterpart, shingara is triangle-shaped and comes with a variety of stuffing. A vegetarian shingara requires boiled potatoes, green chillies, fresh coriander leaves, cauliflower florets, green peas, raisins, and peanuts, while a non-vegetarian shingara has lamb, chicken or mutton. The crisp exterior and soft filling give it a unique texture, as a result of which you keep coming back for more. 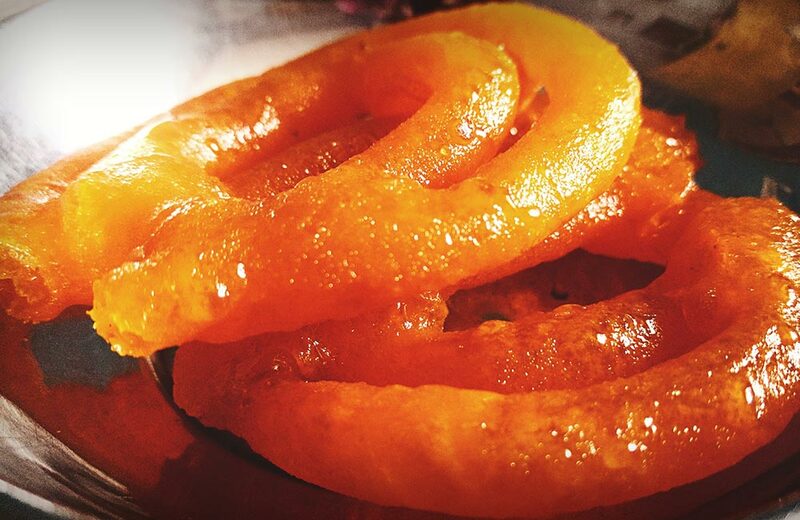 A sweet, soft and chewy delicacy, Chanar Jilipi is the Bengali version of Jalebi. It is made with cottage cheese (paneer) and fried in clarified butter or ghee. This divine confectionery snack melts in the mouth, leaving a lingering sweetness. Chanar Jilipi, which is soaked in sugar syrup, is quite easy to prepare. It makes for a heavenly dessert and is best served hot, but tastes good refrigerated as well. You can actually smell the cardamom powder and saffron strands whilst eating it. 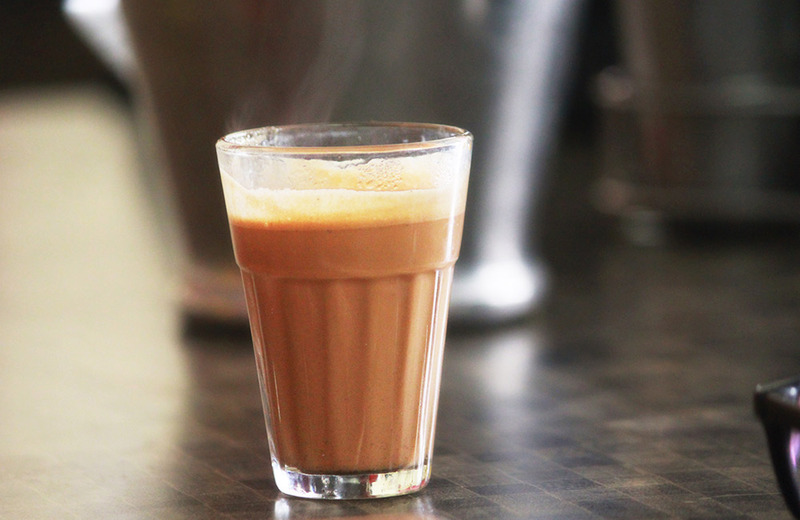 Whether you’re a local or a tourist, Kolkata’s tea culture is bound to grab your attention sooner or later. A concoction of crushed tea leaves, creamy milk, sugar, and masalas, the Bangla chai seems to straddle the line between food and beverage. The delicious brew is served in an antique-looking reddish brown clay cup, which gives it a homelike touch. There is nothing like tea on a lovely spring morning in Kolkata. Of course, the inventory is not complete as the list of amazing dishes in a Kolkata food guide is endless. Many feel that other places can’t compare with the food that their hometown has to offer. 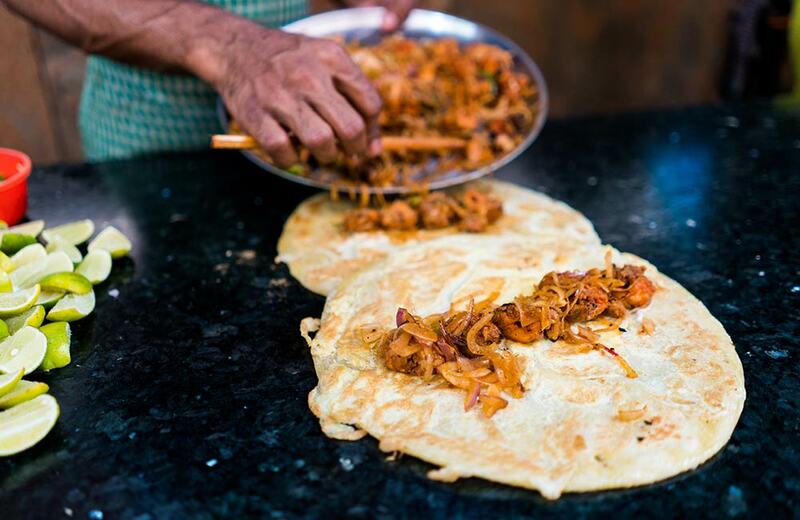 Street food here isn’t just something you eat to satiate your hunger, but truly relish. Finally, this is with the hope that this blog helps you enjoy the best street food in Kolkata. 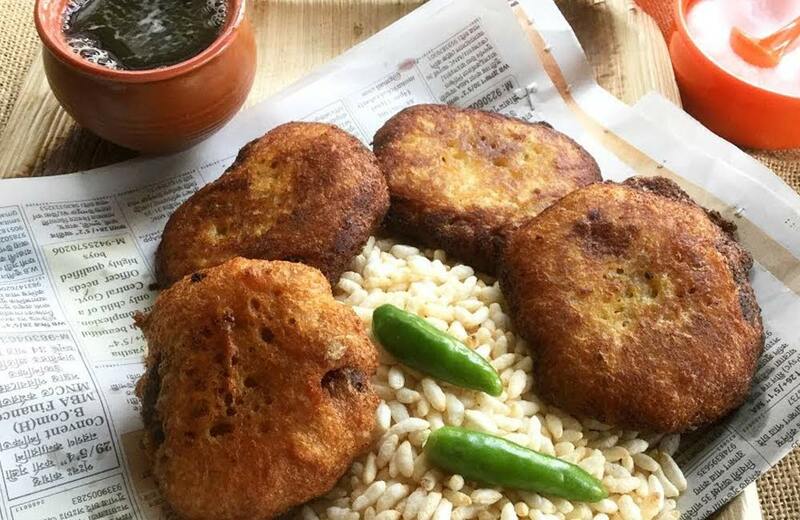 You can book hotels in Kolkata in or around all these above-mentioned neighbourhoods to go on an unforgettable Kolkata street food tour. 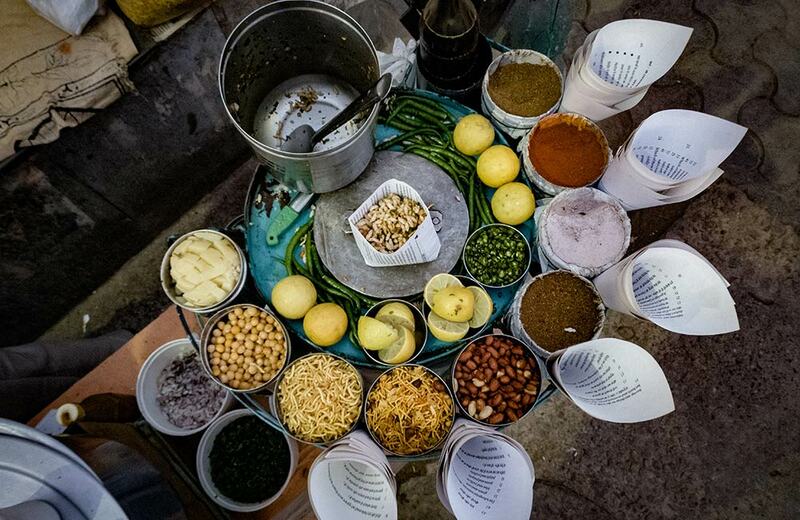 If you have more recommendations on street foods, feel free to add in the comments below. Let us know!